Mrs Sugathadasa was replaced by another figure of known integrity, a former Member of Parliament, Tilak Karunaratne. He was also concerned about education, and was a member of an advisory group I had set up called Religion, Education And Pluralism. After he was appointed, he suggested that we meet in the Security Exchanges Commission office, since that would save him the long journey to my Reconciliation Office which was near Parliament. I asked him then how confident he felt about his position, and the clearing up he thought was essential, and he told me that the President had assured him of a free hand to restore confidence. But within a few months he too resigned. His successor was deemed more willing to oblige those in power, but even he, shortly after his appointment, was rumoured to have attributed a shaky transaction to the Secretary of Defence. The matter was hushed up, but it was a sad decline for Gotabhaya Rajapaksa, whose reputation for financial integrity had earlier been above reproach. The association with Duminda Silva had dealt it a blow, but now it seemed that he too had systemic involvements with big business. This seemed further established with the incident at Weliveriya, where it was claimed that the forces had been called out at the behest of the Chairman of a company which was under criticism for polluting the water supply. Ironically, there was no evidence that the company had deviated from safety standards, and Gotabhaya’s view that the protests were orchestrated was probably correct. Entertainingly, if tragically from the perspective of the bereaved, the protests against the company had been promoted by Mervyn Silva, who was thought to be close to Basil as a leading politician of the Gampaha District where Basil had headed the poll for the government. But the initial qualms of the people about the water supply had not been addressed, while misleading information about the PH factor of the water in the area had contributed to anxieties which burst out in fervent protests. The decision then to deploy the army may have been made in the belief that, if protracted and violent, the factory would be damaged – but the upshot was that the factory had to move, given the resentment the deaths roused. That this was largely due to internal rivalries was symptomatic of how far the government of President Rajapaksa had moved from its initial unity. And the absence of any systems to look swiftly into public grievances made it clear that no one was interested in promoting the grass roots level consultations, with prompt redress for problems, that had been a cornerstone of the Rajapaksa manifesto. Though the President must in the end take responsibility for the failure to live up to his ideals, the fact is that he was now operating in a world very different from the simple understanding of politics that he had evinced in his own career, and which he had inherited from his father and his uncle before him. Mahinda Rajapaksa was the first elected leader of Sri Lanka who did not come from the Western Province, and his commitment therefore to rural development was unique (though it must also be granted that President Premadasa before him, from the Western Province but a relatively deprived background, also understood and worked on the need for equitable development). But he left the bulk of activity in this regard to Basil, who concentrated on cement rather than people. Gotabhaya, though devoted to his soldiery, sometimes thought security required repression of people who evinced hostility, even of the mildest sort. 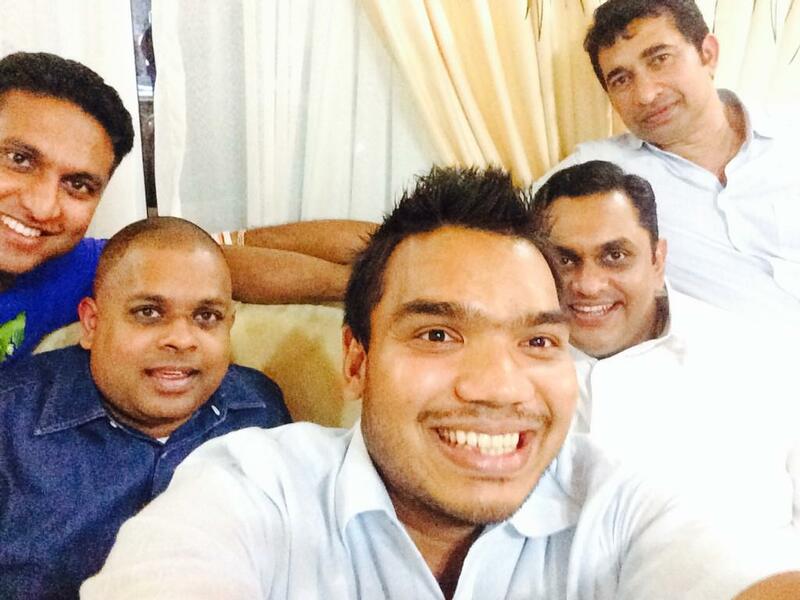 And Namal, who should have been most concerned with the Rajapaksa legacy, was emphatically a child of Colombo, devoted to the concerns of the rich with whom his closest associations were. But what was more important than such tastes was his ability to finance such tastes. My own understanding of how the young man operated developed when I was told by Arjuna Ranatunga, former Sri Lankan Cricket Captain, how Namal had sought to profit by investment in cricket. Arjuna had been an SLFP Member of Parliament, but he had left the party in 2010 to support Sarath Fonseka, so it is possible that his story was coloured by his political position. But he had generally had a reputation for integrity as well as strength of character, and I had found him a committed colleague at the Committee on Public Enterprises, where he had also evinced a strong social commitment. He had been particularly scathing in the examination of Sri Lanka Cricket, where his brother had been the Chief Executive while also working for the Carlton Sports Network. His questioning made it clear that the award to that Network of telecasting rights for cricket matches, a particularly lucrative contract, had been irregular. But Arjuna also noted that the losses Sri Lanka Cricket was making was because of massive expenditure to build up stadiums for the World Cup in which we had been co-hosts. His point was that this was unnecessary, because when he had been in charge of Sri Lanka Cricket he had reached an agreement with the World Body that the facilities we had did not require massive upgrading for the purposes for which they would be used. Later he told me that the President had wanted him to build a world class cricket stadium in Hambantota, his own District, the list of representatives for which in Parliament was now headed by Namal. Arjuna had told him that such expenditure would be a waste, and that it made more sense to develop facilities in schools in the area to train up youngsters. The President had seemed annoyed, but he had evidently taken to heart Arjuna’s point that, while the country should not spend on this, he was prepared to work on it if there were an investor – for Namal called Arjuna up soon afterwards to say he had one available. The problem was that, when Arjuna had told him it would cost about 15 million dollars, Namal had asked him to say it would be 30. Arjuna stuck to his figure when the man was brought to see him, and the man had seemed interested, but said he wanted to be sure Arjuna remained in charge. But Arjuna said he could not guarantee that, given his political commitments, and the investor lost interest. But the stadium was then built, at massive and unnecessary expense as Arjuna described it. The President doubtless went ahead with the project because of his devotion to his home District. He had already had a harbour built there, which made a lot of sense given that it lay on well used sea routes. Though there were problems connected with a rock that seemed an obstruction, those could doubtless be overcome, and in time the harbour would probably prove a sensible investment. There was less optimism about the new airport that had been built in the Hambantota District. Though a second airport was a good idea, its siting left much to be desired, since it was far from the coastal areas that it should have serviced if tourism was a priority. And no effort had been made to develop the infrastructure in the area and ensure good reason for passenger planes to call there. So the few that had started operating there gave up, and within a couple of years there were no regular flights there, except for some Sri Lankan Airlines flights that called there en route to or from Colombo, an exercise that was wasteful of time and money. When to this was added a stadium in the District, it was clear that sentiment had overcome rationality. But the added problem, about the additional cost which Namal’s involvement seemed to entail, was probably not something for which the President could be held directly responsible. It was clear however that his excessive indulgence was proving particularly hard on the country. And whether Namal understood the requirements of the country, as opposed to his own, seemed in doubt. One of the saddest stories about him was that he had not been worried about Sri Lanka losing the vote in Geneva in 2012, since that could be used to win votes at elections in Sri Lanka. It is difficult to believe that he could have been so callous about the forces who would be the victims of the Western attempt to pin war crimes charges on Sri Lanka, but it was argued that that might explain the own goals the Sri Lankan team engaged in, ignoring the strategy of our Permanent Representative, Tamara Kunanayakam and her efforts to build up defences internationally. Sadly, within a couple of years of Mahinda Rajapaksa being elected to his second term, decisions seemed to be in the hands of those without the capacity to plan or think beyond their own interests.